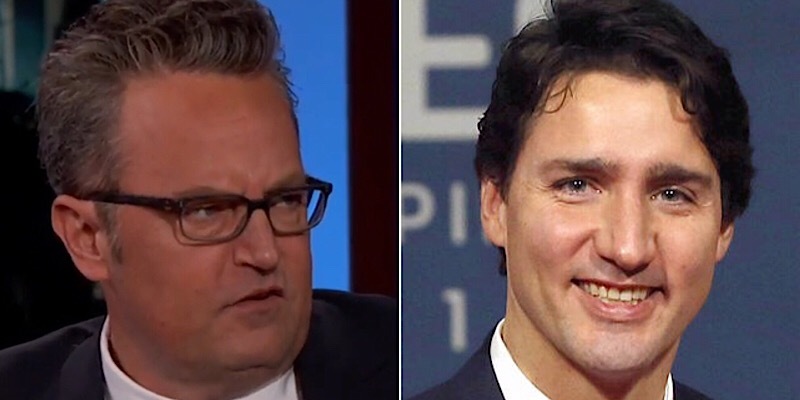 Matthew Perry told Jimmy Kimmel that when he was in 5th grade, he and a friend beat up Justin Trudeau. Really? Chandler Bing beat someone up? Trudeau is actually two years younger than him, but from Matthew’s memory it came out of “pure jealousy,” and he was the only one that he and his friend thought they could beat up, so they did. I just can’t help thinking how that would make a great Friends episode. The one where Chandler beats up the Prime Minister. Saturday Night Live is playing it smart. They’re taking advantage of their upswing in ratings, their highest in two decades. Not only are they bringing Weekend Update to primetime for four weeks in August, they’re going to air the four final episodes of this season live coast to coast instead of the Mountain and Pacific time zones getting it on a tape delay. Additionally, Melissa McCarthy will be hosting and joining the five-timers club. They’ve been doing so well lampooning politics this season, and something tells me they’re not going to be running out of material. Tyra Banks is in danger of becoming too saturated. Just after we were infomred that she’d be taking over for Nick Cannon on America’s Got Talent, it’s now been announced that she is also resuming her old gig of hosting America’s Next Top Model. Is she going for the Ryan Seacrest award or something? If she tells them to dim the lights at either show, we’ve got problems. Look at the below video. Could it be any more obvoius [Sorry, can’t get out of the Chandler Bing mindset now] that Trump does not want this job? 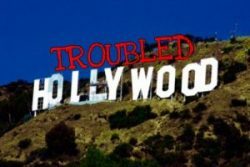 We’ve heard before that he didn’t expect to win, and Howard Stern, a friend of Trump’s, has said that he never wanted to win and wasn’t trying to become the POTUS. He believes he was trying to bargain with NBC to get more money out of them for hosting Celebrity Apprentice, and that’s the only reason he ran for president. And now look at him in this video. He’s stuck. He doesn’t want to be there. He’d rather be watching TV right now. He can’t wait to get out of there. An actor who portrayed a Power Ranger has pled guilty to stabbing his roommate to death. What? How do you fall so far that you go from being a child’s idol to a murderer? I have to admit I hated the Power Rangers when my son was way too involved in it when he was five. It was just too cult-ish. Now I’m feeling sorry for anyone who has to explain to their child that the Red Ranger killed his friend after they hear it on the news. Sean Hannity aimed a loaded handgun at co-worker Juan Williams after they argued on-air, or at least that’s CNNMoney’s story. The Fox News personality says that’s not how it happened. His claim is that he was simply showing his good friend his weapon in a safe manner and that it was for “educationaly purposes only.” I’m sorry. If you’re arguing with me at work, even if it is about guns, do not get out your weapon to show me how safe it is. I don’t want to see it.